Blue Mars Blog: There's Still Some Time to Enter the Blue Mars Makeup Contest! There's Still Some Time to Enter the Blue Mars Makeup Contest! Hello all, hope you had an awesome Thanksgiving! 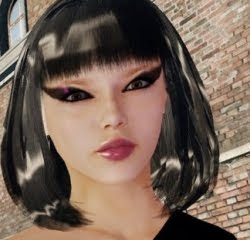 Remember, tonight is the deadline for our Blue Mars custom makeup contest, which style writer Iris Ophelia will judge, with BLU$ rewards just for submitting (if you're among the first 10 to enter.) That's tonight at 11:59pm Pacific, to be precise, but if you're working on your entry today and need some extra time, we can extend your deadline until tomorrow. If you do want an extension, just let Iris know by contacting her at iris [at] bluemarsonline dot com. And once again, here's all the details for the contest.